So, you want to know if the hype is real. You’ve heard of the concept of a makeup remover towel but you’re a little skeptical. And rightfully so. Just add water to the washcloth and it all comes off? Including your most stubborn makeup? It almost sounds too good to be true! Being the curious cat that you are, you did some research, read the 5-Star Face It Amazon and HSN reviews but you strongly believe the proof is in the pudding. The only way your washcloth will bring boys to the yard is if it actually works. We’re hella confident about our washcloth, so we want to share some highlights with you. You can swipe on your most stubborn tattoo-like eyeliner, pack on your most pigmented bronzer, apply your stickiest matte lipstick and go FULL glam. The Face It microfiber face cloth is flying off shelves and you’ll soon understand why. We had some of our favorite beauty bloggers and enthusiasts try Face It so they can experience the black and pink magic of our washcloths and let us know their thoughts. Turns out, the feedback returned extremely positive! First up, our favorite Skincare Enthusiast Leslie Nifoussi sent us a video showing us how she uses Face It. She couldn’t get over how clean, soft and moisturized the towel left her skin feeling. Almost as smooth as a baby’s bottom. Next, a beloved fellow Youtuber @IzaStrawberry gives us a step-by-step description of how she likes to use her favorite washcloth. Similar to makeup remover wipes, regular washcloths won’t always give the 100% clean skin you’re looking for. There’s always some stubborn leftover eyeliner or foundation guilty of giving you the dreaded clown face look. And Face It, nobody wants that! Last but certainly not least, @PetiteStephy had a few comments to make about the Face It washcloth on her Youtube channel. As mentioned in the video, the heart shape of the towel is kind of a big deal. Don’t you hate when you’re washing your face with regular washcloths and the water not only drips down your arms but also floods the entire bathroom? Then, you become flustered for having made a huge mess and suddenly your whole life feels like a mess? Say no more, we figured it out. The pockets on Face It are a feature you will thank us for. If you love makeup but absolutely despise the process of taking it off, Face It will solve this problem for you. For Julia (@dolled.up.by.jules), a makeup artist from Le Salon Sugar, makeup is a big part of her daily routine. Putting on makeup has always been the pleasant part and after incorporating Face It washcloths to her removal routine, taking stubborn makeup off has never been easier. Julia was particularly impressed with how simple the instructions were: wet & wipe! And the results exceeded her expectations. Et voilà! That goddess glow though. The best part about the black and pink magic of the microfiber face cloth is the big reveal of Julia’s beautiful, clean and natural skin. While we do believe there is merit to wearing makeup, we also love to preach that you don’t need makeup to be beautiful and feel confident (special shoutout to our girl Alicia Keys). Face It wants you to always remember that natural beauty is the best beauty. P.S. Want to get more insights about what our customers are saying? Check out some more testimonials here! The guilt is real. That morning after a night out, when you wake up to a horrific orange-stained pillow and runny black under eyes! Ugh! Why didn’t I bother removing my makeup before bed?! Truth is, it happens to the best of us. We get it, removing makeup is a chore. Perhaps you landed here to find motivation the next time you’re too lazy to move from your bed. Or maybe you’re simply seeking answers on whether or not skipping makeup removal has a direct impact on your skin’s health. No sweat! Whatever your motive may be, this post will hopefully give you the answers you’re looking for. That glow though. Makeup itself doesn’t cause considerable damage; it's the improper removal of makeup that’s the culprit. Many foundations and powders have a tendency of settling into the crevices and fine lines of the face, often resulting in breakouts and possible premature skin aging. Don’t sweat it, it’s not too late! You can reveal healthy new skin cells for a brighter complexion simply by cleansing properly and exfoliating before you hit the sack. Looking for the best face wash on the market? There’s no need for that. Give your skin the love it deserves with a soft microfibre towel like Face It. The innovative heart-shaped towel deeply cleanses and exfoliates your skin simultaneously with just water! If you’re lazy (like we sometimes are), it’s the perfect one-step makeup remover that will significantly speed up your face cleansing routine. Eyes – Free all follicles! We’re talking mascara and eyeliner. Some of us just can’t live without them. And that’s totally fine! Again, the products themselves are not necessarily harmful. It’s the build up of gunk that can accumulate around the follicles if it's not properly removed. Did someone say nasty?! Furthermore, leaving heavy product on your eyelashes can damage them and cause them to shed quicker. Oil-based removers can help ensure every bit is removed. 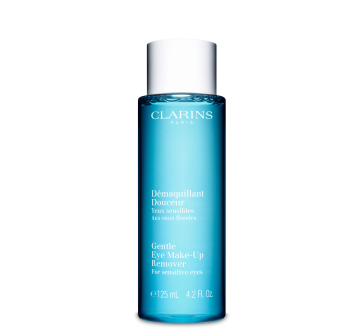 If you have sensitive eyes, we recommend Clarins Gentle Eye-Makeup Remover. May your lashes be forever long and strong! Lips - Let them breathe! Give a goodnight kiss to your lipstick every night, no exceptions. Sleeping with remnants of your lipstick on your lips can result in ingestion of the countless harmful chemicals found in lip products. Unless a product states that it is 100% organic or natural, you might want to give your lips a good scrub. Sleeping with lipstick on also leads to dry, cracked lips. Trust us, you’ll want to make sure they’re free of stains or else it will be harder to remove the next morning. If you need a quick fix, you can use petroleum jelly to help remove stains, or the Face It towel works too! This beauty works double duty! Looking for something that will deliver baby-smooth lips? We are completely obsessed with Sara Happ’s variety of lip scrubs, perfect for restoring and exfoliating your luscious pucker. Voilà! Removing makeup has never been easier. To summarize, a good tip to remember is resisting temptation = good habits. Fight the urge to sleep before removing makeup and it will become a habit. What’s your most important accessory? Glowing, healthy skin, of course. Do you have a makeup removal routine before bed? We’d love to hear your thoughts in the comments below! Disclaimer: clothinabox.com does not guarantee any specific results from the procedures mentioned and the results may vary from person to person. The topics in these pages including text, graphics and other material contained on this website are for informational puposes only and not to be substituted for professional medical advice.